It's been awhile since I posted to these pages. But that is about to change. Although I haven't been actively posting, or writing for that matter, Abelia and Robert are always in my thoughts. They are a part of me and rarely does a day go by when I don't think about them in one way or another. Life has gotten in the way of writing, I am afraid. So how do I fix that? By taking this project to the next level. By making the creative process public. Very public. 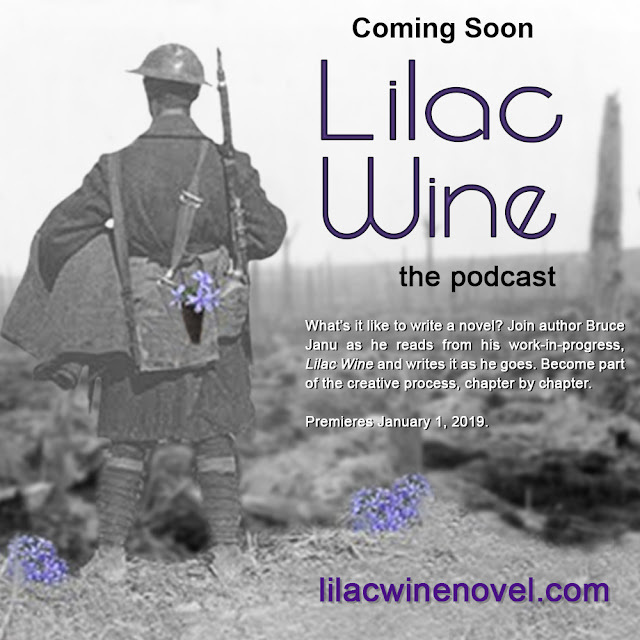 Starting in January, I will be reading the rough draft of Lilac Wine on a new podcast. Each episode will feature a chapter, with some behind-the-scenes insight on the creative process. Currently, I have 250 pages of the novel written. And once we get to that point, I will have to write chapters as we go through this together. I will open a discussion board on this website, and allow listeners to comment and make suggestions about the story as we go. Tell me what you think as we crowd source the creative process!